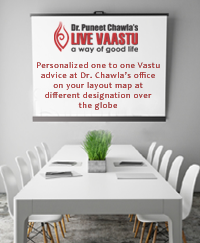 Vastu Shastra has always considered the drawing room to be a place of prestige and a showcase of one’s personality and individuality. Most of the time, all formal and distinguished guests are invited first to the drawing room which usually gives the first impression of the house and its residents. 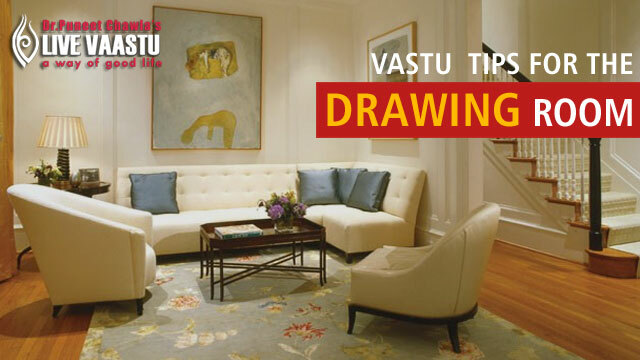 Hence, people make it a point to transform their drawing room into the most beautiful area of the house. The drawing room, where you entertain your guests, may well be regarded as the ‘public’ area in your home very selective people is permitted to enter the further interiors of your house. It serves the purpose of meeting people to either entertain or for other need-based discussions. Hence guests should feel welcomed and at ease here, and this can happen only if positive energies flow here with the help of Vastu Shastra principles. So, in addition to beautification of the drawing room, it is important to create a harmonious Vastu environment to make it an auspicious room as well. • The best possible location for a drawing room is in the east, north or north-west directions. The north-east portion of the drawing room should be kept spacious and as free of furniture as possible. The east side should also be kept light and airy. • Placing a mirror on the northern wall helps enhance the positive effects of the energies emanating from the north. The northern wall is also a good place for installing windows, as this brings in prosperity. If the northern and eastern walls are enhanced, the inmates of that structure become prosperous. • While decorating your drawing room, make it a point to showcase your most priceless possessions here. The theory behind this is that the wealth you display will multiply and come back to you manifold. It is said that whatever you display and see, is what you will receive, so display your wealth, good art pieces, your achievements, etc, in the drawing hall. • Make sure that the drawing room is well lit. Also, pastel green is an auspicious color for the walls. It is important to leave the northern and eastern walls for light-weighted furniture. Heavy furniture should be kept against northern and eastern walls. • The seating arrangement should be such that while sitting one faces the east. 5 Avoid placing the cooking stove on the north-eastern corner. It should be on the eastern wall of the kitchen or in the south-east corner of the kitchen area. This direction is called the Agneya Disha, named after Agni, the Hindu God of fire who resides here. This disha (direction) has a natural source of fire as solar heat is at its maximum when the sun is in the southern direction. When the sun reaches the south-east, it releases vitamins D and F in the atmosphere. The value of these vitamins in the kitchen is immeasurable.